Pearls of The Ocean Fashion Installation at 8 am PDT Today! Misteria Loon, talented designer behind the Pas de Deux line, will be showing her lovely mer fashions in a special fashion installation at 8 am PDT, 11 am EDT. This innovative installation, presented by Fashion Research Institute, enables the audience to participate in the modeling process. Misty is providing two show specials, her mer outfits in Bronze and in Black Pearl. Special show pricing at the show only are $0L a set, to encourage the audience to partake and engage with models and set. These stunning outfits are shown here. Pearls of the Ocean in Shengri La, presented by Fashion Research Institute, may be visited from 8-9 am PDT Sunday September 13th. Just log in to Second Life, and follow this link to join the show. Fashion Research Institute is pleased to present designer Misteria Loon’s newest collection for Pas de Deux in an innovative fashion format. ‘Pearls of the Ocean’ is an immersive, interactive fashion installation in which the audience is invited to engage with the models and the set. This show will be presented concurrently with a joint audience at the Fashion Camp, held at New York University’s Interactive Telecommunications Program Lab as part of an independent fashion designer’s event held during the Mercedes Benz New York Fashion Week. Members from this audience have been invited to log in and visit the events. Pearls of the Ocean features eight lovely mer beauties and four handsome mermen arrayed in a unique set designed to best showcase the mer fashions of Pas de Deux. Misty’s exquisite colors and her careful exploration of avatar apparel parameter space all emerge in one luscious collection of fashion displayed in a unique marine setting perfect for this collection. Audience members are encouraged to purchase Misty’s ethereal fashions and to join in the set as part of the show. Poses have been placed around the perimeter of the set, where audience members may join in and experience the modeling process. Pearls of the Ocean will be held Sunday, September 13th, at 8 am PDT/11 am EDT in our Second Life region of Shengri La. The region will be locked and closed at 6:30 am PDT and will reopen promptly at 8 am PDT. The usual fashion swag will be available to our visitors, with free pearl jewelry to be discovered in a heap of clams and oysters presided over by the illustrious composer and musician Kyle Beltran. Guests will be welcomed by the ever lovely Harper Beresford, noted socialite and SL fashionista. Images below shot at one of the fitting sessions, provided courtesy of the talented Callipygian Christensen. Join us as we celebrate the graduation of four avatar apparel designers, Jare Capalini (AU V), Misteria Loon (Pas de Deaux), Xand Nagy (Kicks & Twirls), and Wollemia Sands (Bull & Bear Careerwear) from the six-month long emerging avatar apparel designer program sponsored by the Fashion Research Institute, Inc. Please join us at 7 am PDT on Saturday, May 30, in Fashion Research Institute’s Shengri La estate in Second Life to celebrate the graduation of our first cohort of emerging avatar apparel designers. Designers Jare Capalini (AU V), Misteria Loon (Pas de Deux), Xand Nagy (Kicks & Twirls), and Wollemia Sands (Bull & Bear) will each show two looks in this specially designed fashion installation in honor of their graduation from the Shengri La Vintage MArketplace program for emerging avatar apparel designers. The emerging avatar apparel designer program was developed specifically to help avatar apparel designers bring their label to the next level, however they define the next level to be. These designers have all grown their brands substantially over the last six months, under the mentorship of FRI founder and CEO Shenlei Winkler. Changes have ranged from creating new logos and rebranding the designers’ labels to presenting fashion shows and installations, and everything in between. Please join us in applauding these designers with all their hard work at this special show celebrating their graduation. The original Shengri La island emerged on March 25th, 2007. As it was originally intended, it served as a utopian base for our science, art, and fashion collaborators. Shortly after the first island emerged, the other four were added: Shengri La Hope, Shengri La Peace, Shengri La Joy, and Shengri La Love. The past two years have seen a wide array of changes to Second Life, and to the activities and work we conduct in our regions in Second Life. We’ve seen Windlight, sculptured prims, and the rise and fall of void sims as a business model. Despite all the changes we’ve seen, some things have remained the same in Shengri La. We continue to develop visually compelling, deeply immersive islands where our collaborators can work and engage. We also stay true to our original covenant of providing kind sheltering wings and a safe haven for wanderers, some of whom stay with us as collaborators, others of whom are transient visitors. Our programs have changed and expanded, and we are currently in the process of graduating our class of emerging avatar apparel designers, and developing new programs designed to move this important work forward. In our current incarnation, we are an officially sanctioned Community Gateway, where we provide orientation to new residents with a corporate & enterprise focus. Our research areas include examining how users become immersed in virtual worlds, how enterprise becomes virtual, and virtual world enterprise applications. We are pleased to invite you to visit our islands. Please come and experience the wonder and peace which is Shengri La, and to celebrate with us as we begin our third year of collaboration and exploration. 7-8 am SLT Fairy Fashion Installation, featuring the work of emerging avatar apparel designer, Misteria Loon. Misty’s gowns are ethereal and fragile and perfectly suited for the static display of fashion in the lovely woods of Shengri La. We will show 8 of her gowns as well as a complete color run of her Flower gown. Our volunteer models who have graciously offered their time to support Misty’s first show reflect a range of body types and skin tones, which breaks from the usual attenuated runway model look. We would like to thank Jen Shikami of Seven’s Selections for donating wings to the fairy models, and Ellie BearCat, Georgianna Blackburn, Patricia Anne Daviau, Anarya Elderslie, Ahuva Heliosense, larae Magic, IndiaRose Muircastle, Sequoia Nightfire, Prissy Price, Chestnut Rau, Oura Scribe, Jaydie Sapeur, Neva Seljan, Elizabeth Tinsley for graciously donating their time for Misty’s Emergence Show. 10 am SLT An Ode butterfly Hunt – Shengri La is renowned as an estate with a regular monthly Ode hunt. Ode jewelry collectors spread across our five islands in search of elusive jewelry-containing butterflies. 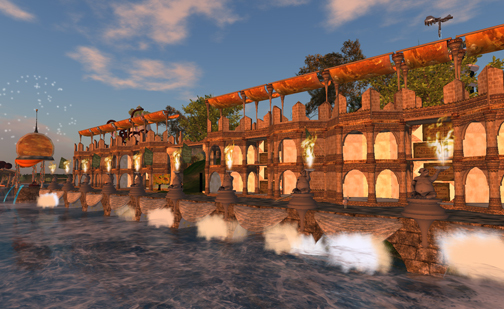 The Ode hunts are a wonderful way for new residents to learn to engage with the SecondLife interface. Older residents make new friends and love to collect the fragile Ode jewelry created by master jeweler Random Calliope. 1-2 pm SLT Kyle Beltran plays live on the Shengri La sim. Kyle has been a visitor to Shengri La almost since the beginning. We are pleased to have his talent gracing our celebration. 3-3:30 pm SLT Founder Shenlei Flasheart (Shenlei Winkler in real life) will talk (very briefly) about why Shengri La was created and future directions. 5-7:00 pm SLT Fairy Rave with our longstanding DJ of choice, Qee Nishi. Qee has been creating Trance sets for us since December 2007, when we first ‘discovered’ her at Dance Island. Qee will again play for us at a Fairy Rave, so plan your best fairy outfit and join us for two hours of the best Trance music on the grid. During the day, all of our art galleries will be open to the viewing public. The Small Gallery will host a retrospective of Callipygian Christensen’s Shengri La images from the beginning to its current incarnation. Calli’s work will also be features in the Fashion Research Institute’s Information Center in Shengri La Hope, with a series of images from the renowned FRI Shengri La Spirit build in OpenSim (41,000+ prims of decadence). Last, Calli will reopen her main Gallery (The Main Gallery at Shengri La) with a fresh new exhibition of her latest photography throughout Second Life. Please join us for one or all of these events. We look forward to seeing you there. We are pleased to announce the acceptance of three new designers to the Shengri La Vintage Marketplace for Emerging Avatar Apparel Designers. The three designers include Xand Nagy, Saiyge Lotus and Misteria Loon. 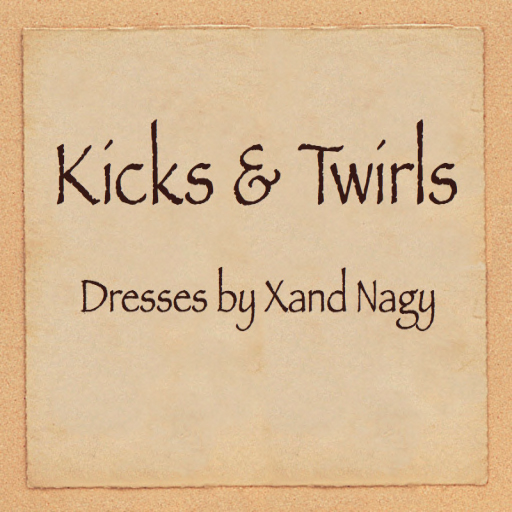 Xand and Misteria are apparel designers; Saiyge is a jeweler. All three have very different styles, and we invite you to come explore these new designers, and return to see how their work evolves over the coming months. Designer statements and images of their work follows. Xand Nagy: Designer’s Statement – I LOVE SL, for the creativity that so many people express here with sim design, virtual environments, sculptures, photos, AVs, and so many many things that either exist in the RL, or could NEVER exist in the RL (especially the latter). I started designing because I was a penniless wanderer and I got tired of how freebie clothes looked. A friend staked me 200L which I used to bring in textures and I made my first dresses. I loved playing with flexis (ask me about my “dance-snakes…”) and dresses are probably the most fun thing to do with flexis, especially when you are dancing with them. All my creations are EXTENSIVELY tested for “dancability” (LOL) by ME and anyone else I can enlist. I have a small store in the Dreamcatch Distillery in depo 10 but I am hoping that exposure here in the beautiful Shengri La Vintage Marketplace in gorgeous Shengri La will lead to bigger and better things for me and my line of clothing. Saiyge Lotus: Designer’s Statement – My Rez Date is October 18th, 2006. 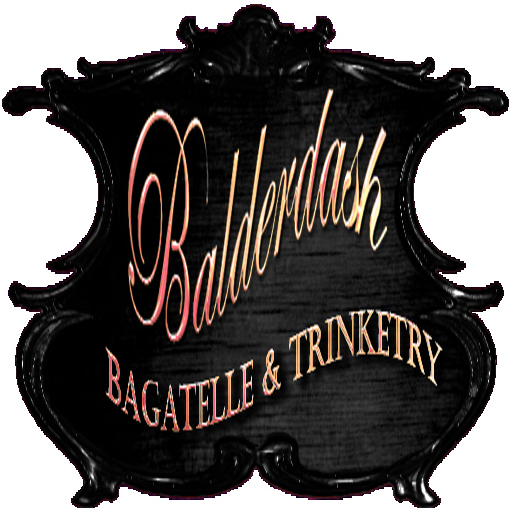 I am the creator/owner of Balderdash Jewelry. I wouldn’t say that I got into making jewelry with alot of thought beforehand. I find the better work often channels itself in some form or fashion. Mostly, I often start working with the main thought not of what I want the piece to be, but rather, what I -don’t- want it to be…. I grew up in a unique situation, surrounded with craftspeople and artisans. At an early age, I was exposed to a love of those who came before us, of having a profound respect for crafting something with your own hands, to appreciate the small things that often go unnoticed. To embrace being different. I have never been drawn to the mass produced, cookie cutter types of jewelry… The ultra “modern’ bits they usually sell in most upscale jewelery places. The things I love are imperfect…they are old and tarnished with character. I like to think that this comes out in my work here in Second Life. Here, it is all too easy to make the perfect things, the pristine things. It’s far harder to give things the feel of age, the patina of memory. When I am making jewelry, I’m trying to infuse a general feeling of nostalgia into the prims themselves. I don’t know if I manage to do that, but I do try. I think what I most like about Second Life is that I don’t have to focus on financial limitations in order to create something. There’s no worry about running out of paint, having the right adhesives or the correct equipment to do the work. As long as I can sit and torture prims, or create textures, I can get something done, I can go from start to finish and try to get the vision in my head out into the open where others can share it. That in itself, is worth more than I can ever possibly describe. I started designing fashion in August 2008. That’s when I made my first dress (called Leotard) and established the ‘Pas De Deux’ line of fashion. 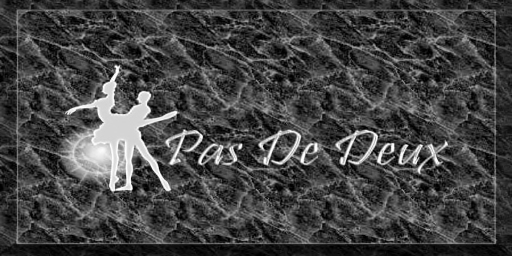 Pas De Deux is fantasy clothing or fashion for dancing. I’d like to develop the line into fantastic, dreamy dresses, including some formal gowns for ballroom dancing. My textures sometimes come from photographs of nature, flowers, trees, and even animals. SL is a great space for creators. We can use our imagination. I recently made a pumpkin dress for Halloween that was written about in blog, and a Blue Fairy Dress, that was mentioned in another blog. I also created a BonBon dress that is a bit unique with a round skirt. The skirt is embellished with a few fun balls that are scattered on the inside. Now, after just starting to create fashion, I am so very lucky and happy to have this opportunity to sell my creations for the next six months in the Shengri La Vintage Marketplace!